March has arrived and the Season of Lent officially begins (don’t miss these great new resources to help your students prepare their hearts for Easter), AND 9 brand new DYM Member resources are on your Members Only page (login to check them out)! All the updates to the DYM Games App are amazing! CLICK HERE to watch a demonstration of the new features by Steve and Doug “live” from our DYM Kentucky office! ONE: Game. Dead Cat. Imagine your youth group was given a cat to take care of…now imagine that in order to keep this cat alive, your group would have to make some pretty ridiculous decisions when faced with even more ridiculous circumstances. The fate of this cat is entirely up to you and your students. 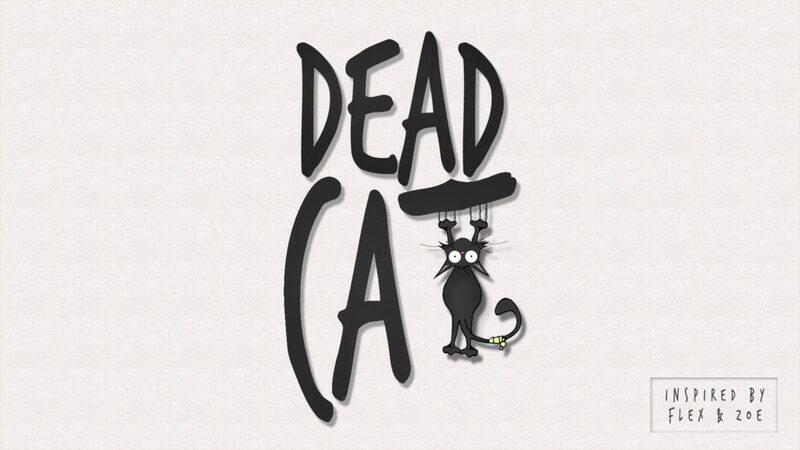 Think of ‘Dead Cat’ as a Tamagotchi for the modern age mixed with a “choose your own adventure.” These clever DYM authors have designed this game in a way that it could be played slowly, over 2 months or completed it in one sitting… the choice is yours. It’s one of the most creative games we’ve given DYM Members. TWO: Video. Light Up the Darkness. A text-driven, scripture-based video challenging students to live out Matthew 5:14. It offers a glimpse of how the world might look if we all lived by Jesus’ call to be the light of the world. This video could be a stand-alone element, or used as a bumper before or during a message on evangelism, outreach, or spiritual disciplines. THREE: Video Training. Four Powerful Voices in the Life of a Student. As we seek to connect with students and spur them on in their walk with Jesus, there are different voices we as leaders can use to speak truth in to their lives. Brian Berry, a 22-year veteran youth worker, author, and trainer for Youth Specialties, shares the four voices he thinks all students need spoken by the leaders who care for them. If you haven’t been using these 10-minute training videos, they are an excellent resource for your adult leaders to continue to grow and learn. FOUR: DYM Newsletter Builder. Summer is coming, which means there are TONS of dates and details to distribute to make sure everyone is informed! Let DYM Newsletter make those reminders look slick. You’ll look like you slaved all day in Adobe Illustrator (when you really spent 10 minutes adding in text and photos and then went to grab yourself a cup of coffee!) Wins all around! CLICK HERE to see a brief demonstration of the magic of DYM Newsletter and then CLICK HERE to login to your DYM Member account and experience the wonder for yourself! FIVE: Mentor Me. A Conversation with Jessica Sanchez.After 14 years in youth ministry—8 of those on Josh Griffin’s team at Saddleback Church, Jessica Sanchez has come to believe strongly in the power—and joy—that comes from working alongside a team of adults who are passionate about seeing God move in the lives of students. She shares 4 key aspects of recruiting, developing, and caring for a healthy volunteer team. She’s humble, wise, and incredibly articulate as she shares all that she’s learned from her years of experience with volunteers. This is one Mentor Me you don’t want to miss! SEVEN: Student Leadership: Leaders Are Creative.Leaders stay grounded in God’s truth while keeping an open mind as they navigate life. When faced with obstacles or challenges, leaders don’t stop and wait for the perfect circumstances, instead they think outside the box. This lesson will challenge students to be creative as they engage the world around them and overcome the many obstacles leaders face. EIGHT: FREE Group Texting. What if, instead of having to scroll through the list of names on your phone—or in your head—to remind each leader and/or student about an upcoming event, you could click a few buttons and send one text to a saved list of contacts?! What if you could write three or four reminder texts and schedule them to go out at various times throughout the following days?! Well, if you use DYM Text, you can do all that and more! Remind your students, leaders, and parents of amazing upcoming events, service schedules, and/or deadlines using DYM Text! Visit DYMText. The details are on your Members Only page, so be sure you’re signed in to access this. And, finally (NINE), for DYM SILVER AND GOLD MEMBERS, your $20 Store Credit is ready for you to spend! Lent begins today and we are so proud of the authors who have written great resources to help prepare students for the glory of Easter. PLUS sermons and series and small group curriculum for Easter. Not to mention, the great games, videos and administration resources that have hit the store recently… We could go on and on, you should check out the New Releases for yourself! For more info on how Store Credit works, click here. As always, we LOVE seeing your comments and how you’re using DYM stuff. Please keep tagging us on Twitter and Instagram (@downloadYM) so we can see DYM resources in action! DYM Power-User Tip: the more active you are on social media, the better we recognize your name… which helps as we identify “Insiders” for our DYM100 selections.